The Grove team had to modify their mirrors after a request from Racing Point. The front suspension of the FW42 is the most critical part. A skinny dog all are fleas. This saying could be used to describe the situation that Williams is suffering these last weeks. After not being able to play the first days of preseason due to a problem with the suppliers, the Grove team could not get the OK from the FIA to play the Grand Prix of Australia 2019. According to 'Motorsport', the International Automobile Federation has received several claims by different teams on two aspects of the FW42 whose legality question: peaks and front suspension. Whether the first element was already modified in the second week of training, going back to a more traditional version and eliminating its concave shape and division into three different lenses leaving only the central part , exaggeratedly small, for the vision of the pilots, the second piece may be assuming a real headache for the technicians led by Paddy Lowe. Redesign this area of the car of Robert Kubica and George Russell what is this mporada has raised its anchor point with respect to the wheel and has changed the angle of the upper triangles, positioning the transversal more hoisted and separated from the lower triangle, is a task that takes weeks of development. And only 10 days left for the test at Albert Park. 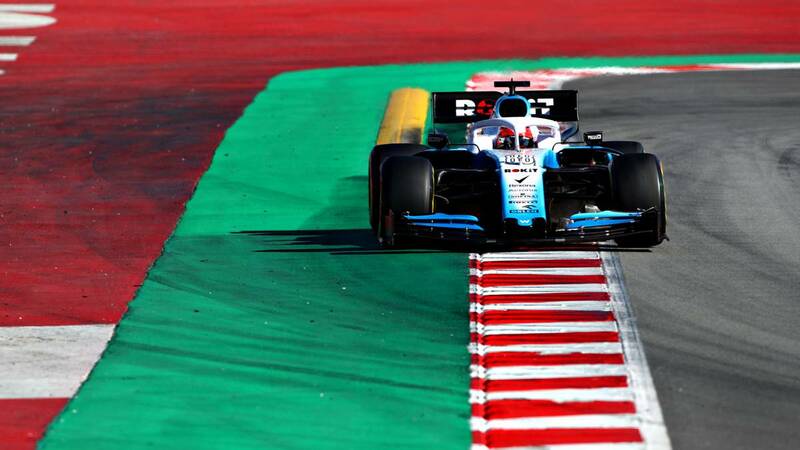 "We are going blind to Australia The car is far from optimal", acknowledged Robert Kubica after completing the tests in Montmeló. A bad start for a historic team that struggles to leave the last row of the grid and that should have consequences in its upper part of the organizational chart.